Mr Green Casino is known for being one of the top online casinos around, and huge numbers of players head to their site every day, in order to enjoy loads of different games. There’s now yet another reason to sign up with this great site though, as they have just launched a fantastic new slots tournament, based around the recently released Warlords: Crystals of Power. This tournament is a really exciting one, and therefore it’s one that all players will want to get involved with. Don’t wait for too long though, as the competition is only a short one, and finishes on the 5th December. Even once the tournament is finished though, you’ll still find loads of fantastic games and promotions at Mr Green to keep you entertained though! The tournament is actually a really easy one to play, which is always great news. You’ll first need to sign-up with Mr Green Casino, before then making a deposit. It’s then simply a case of playing Warlords: Crystals of Power as much as you possibly can, as each €1 you spend will translate into one tournament point. If you are at the top of the leaderboard when the current battle ends, you’ll win the prize. One of the battles has already finished, however there’s still time to join the second battle, which has a top prize of €1,000! 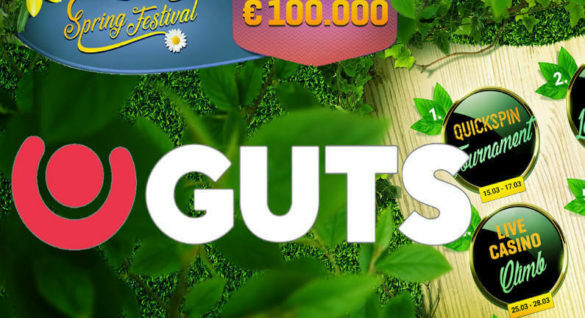 The final battle is the most lucrative of them all though, as you could win a massive €1,500! It should also be mentioned that there is no need to sign-up for this tournament. Instead, you will automatically gain entry to the tournament as soon as you start playing this fantastic new online slot from NetEnt. Warlords: Crystals of Power is a new slot from NetEnt, and the fact that it is produced by this company means that you know it will be good! As with most slots, you need to start by choosing how much to bet per spin – remembering that the more you bet, the more points you’ll receive in the tournament! Then you simply spin the reels and wait to see what you can win! 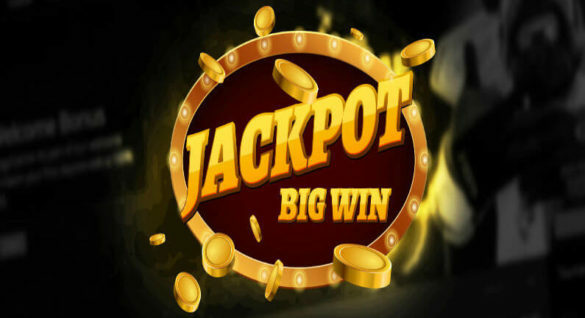 There are loads of great bonus features at this slot, including no fewer than three wild features, all of which can be activated randomly, and all of which can lead to some huge prizes. 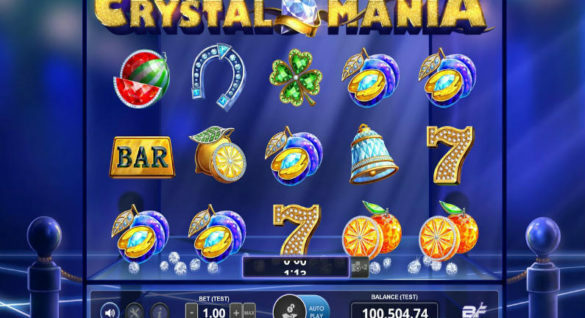 You’ll also find a regular wild symbol, as well as three different types of Free spins. The huge amount of bonus features makes this slot one of the most exciting around. But how much can you actually win when playing this game? Well, the top prize when you play is a massive 6,666x your stake, which can happen when you activate the Priestess Free Spins feature. Don’t forget that you could also add a nice bonus to your winnings if you manage to win the tournament as well! There really aren’t many online casinos that exceed Mr Green Casino. With a fantastic selection of games, easy depositing options and a nice selection of bonuses, this casino should appeal to all players. If you’re a bonus hunter, you’ve come to the right place, as there are loads of great bonuses and promotions to take advantage of at Mr Green Casino. They start with the Welcome Bonus, which is a 100% first deposit bonus, worth up to £100. What’s more, players will also be rewarded with 100 Free spins at selected slots when they deposit £20 or more for the first time. Claim it all and start playing today! Warlords: Crystals of Power isn’t the only great thing about this promotion – the fact that it is being run by Mr Green is also a huge bonus! This is because Mr Green Casino is one of the top online casinos around, and this is for many reasons. Top of these reasons is the games though, as Mr Green has a massive variety of different games to choose from, and they have been created by some of the biggest names in the world of online casinos. So, even if you don’t fancy playing Warlords: Crystals of Power, you’ll still be able to find loads of other fantastic games to enjoy! The bonuses at Mr Green are also exceptional, and they are another reason why so many people choose to play at this site every day. For example, you can double your first deposit at this site, giving you up to an extra €100 to play with, plus all new players can also get up to 200 Free spins. There are many other promotions as well, plus new and exciting ones – such as the Warlords: Crystals of Power tournament – are released regularly. The first thing to do before signing up with Mr Green Casino is to read through our detailed Mr Green online casino review, just to make sure this casino offers everything that you want. You can then head to the site and begin the sign-up process, which takes just a matter of minutes. There’s no need to worry about sharing your personal details with them, as Mr Green Casino use advanced security procedures to ensure that your details are always kept safe. Once you’ve created an account, you can deposit using one of many different methods, and you’ll then be able to play one of the many fantastic games found on their site.